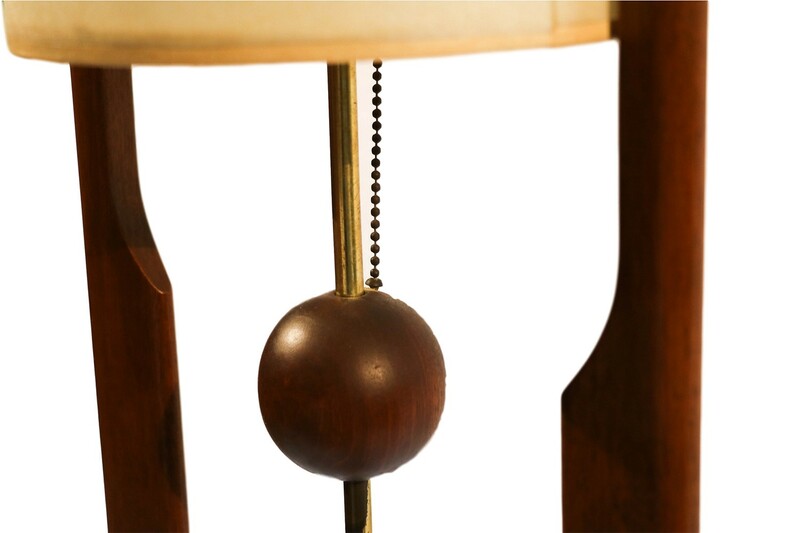 Dramatic Large Scale Walnut and Brass Lamp. 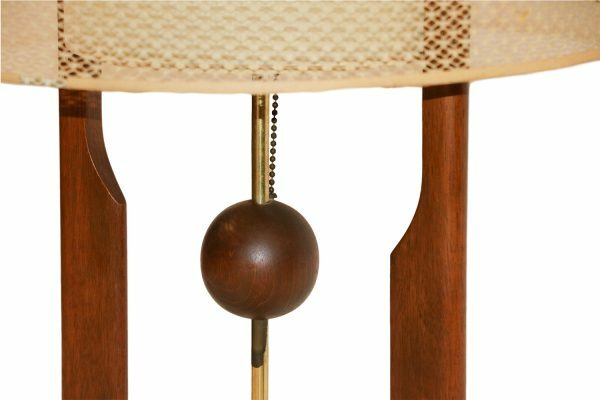 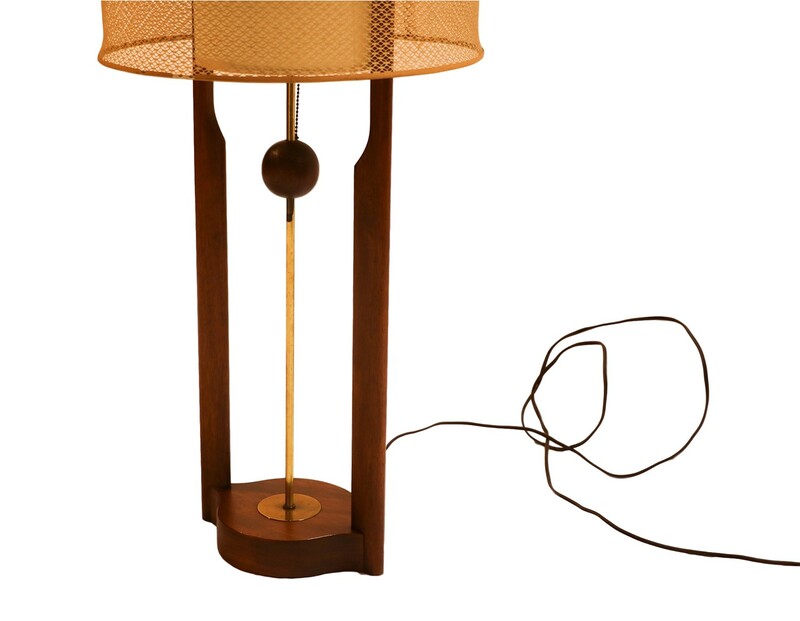 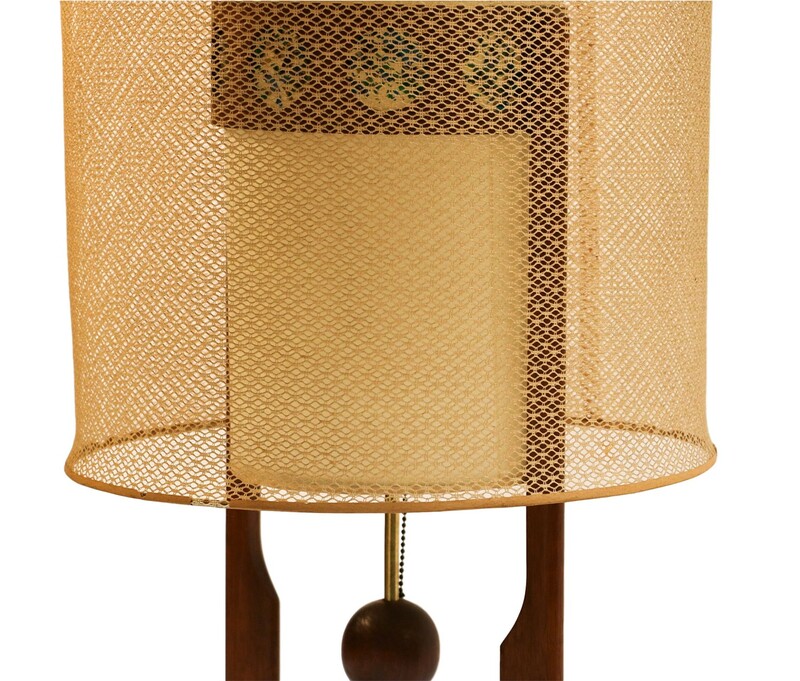 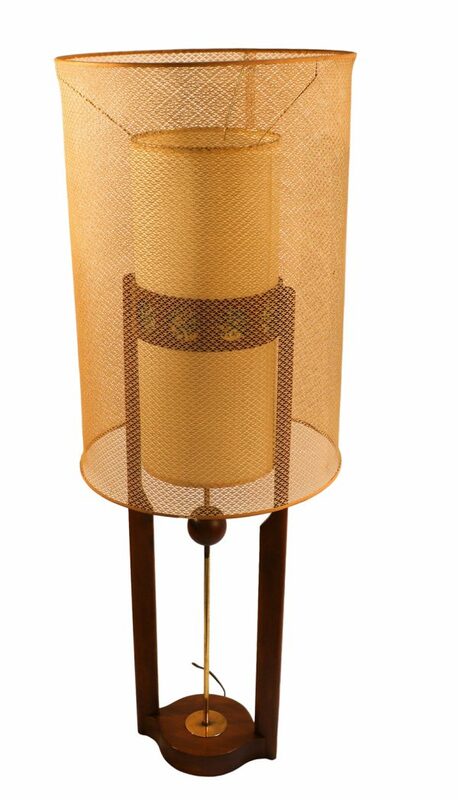 Stunning large lamp, circa 1960, features a wooden frame and two vertical arms, supporting a central brass rod with walnut pull chain ball, a cylindrical inner shade supported by two arcing walnut arms and outer metal mesh shade rests atop the inner shade. 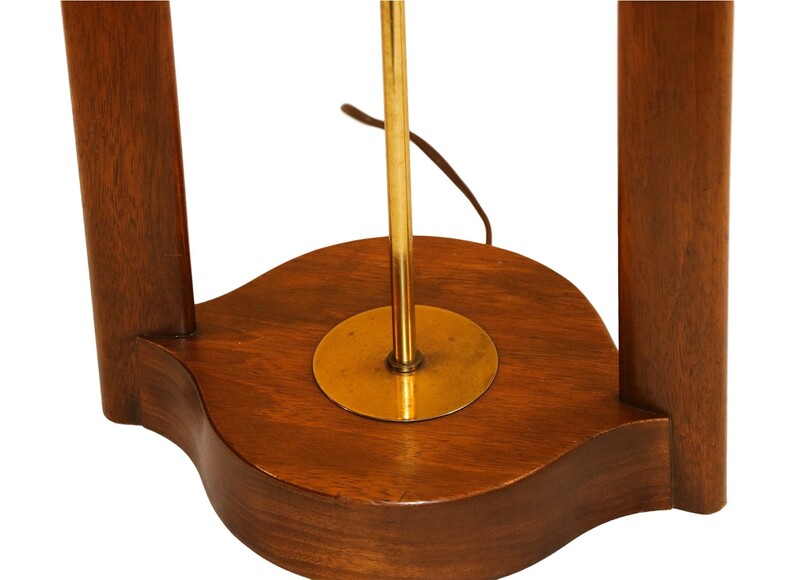 The two walnut arms raised on a circular base. The on-off switch is a suspended walnut circular ball that floats in the middle of the brass rod. 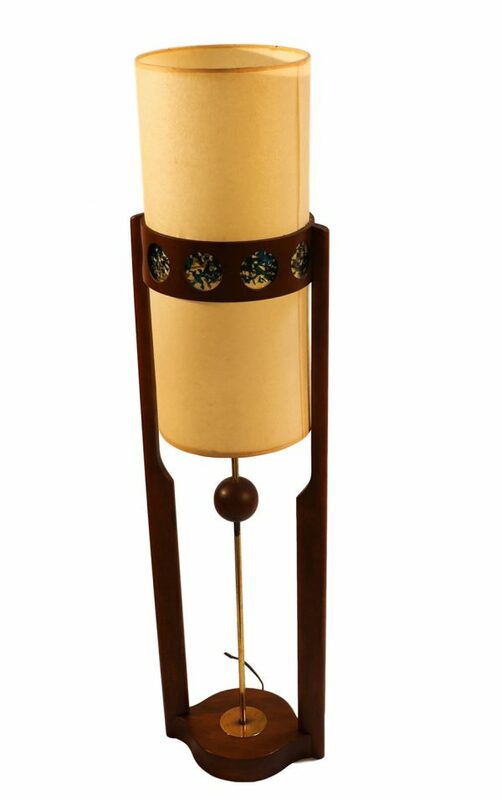 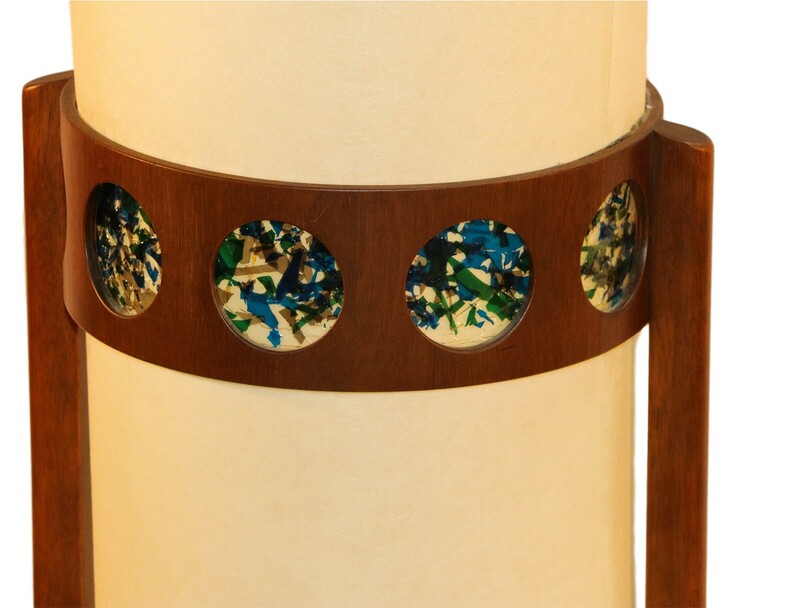 Handsome architectural form executed in solid walnut, accented with a central brass rod and inner shade with blue and green accent strips creating a beautiful effect when lamp is on. 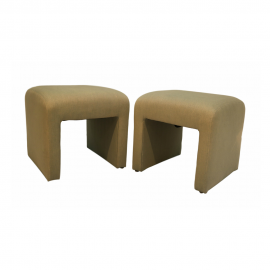 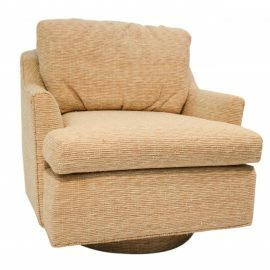 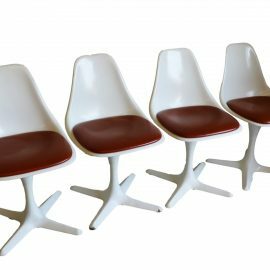 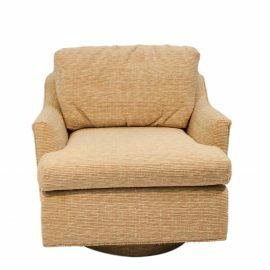 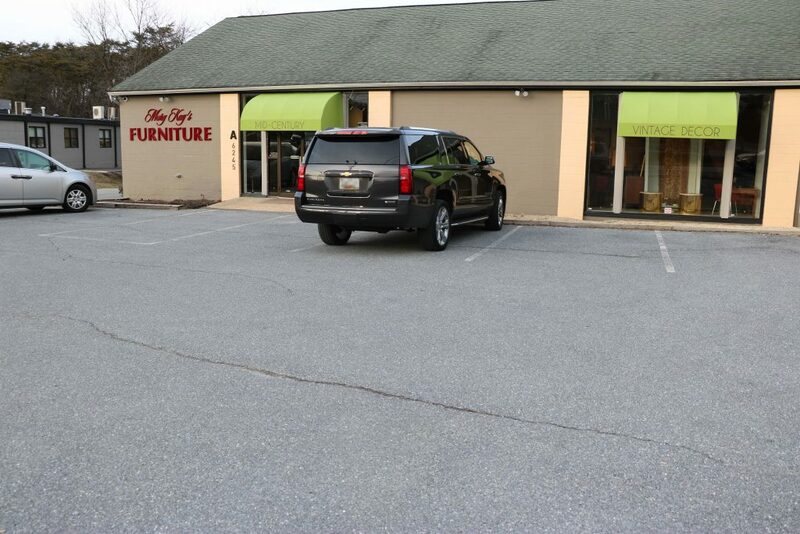 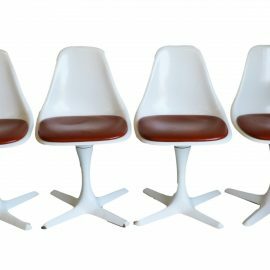 This is very much influenced by the space age era of the 1950s, excellent condition. 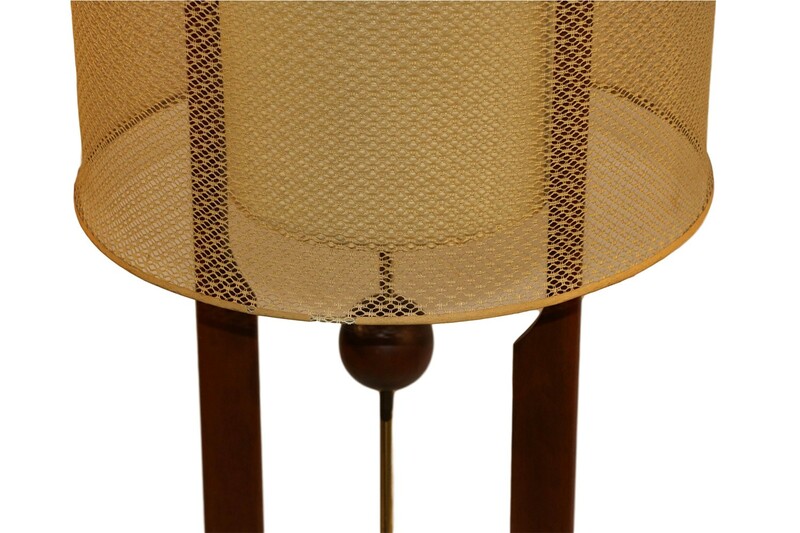 There were so many makers of these stylized table lamps during this period. It is very difficult to say who might have made this one. 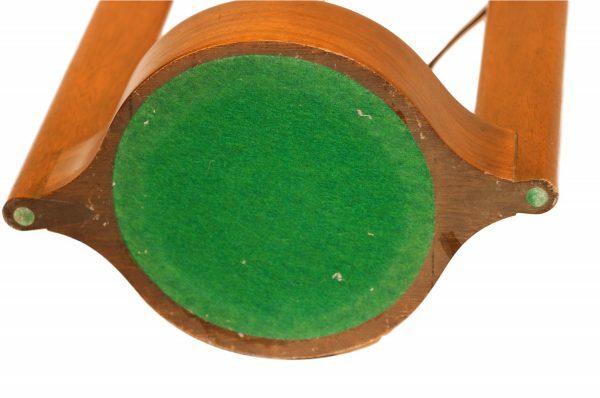 The most likely is the American maker Stiffel. 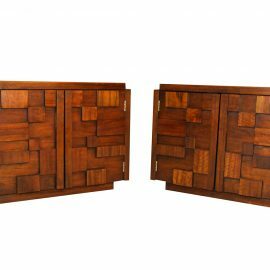 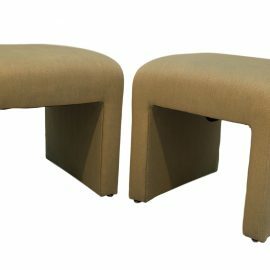 A beautiful pair of vintage, impressive unique cubist style mid-century modern walnut nightstands or end tables, by Lane Furniture features the Brutalist style made popular by Paul Evans.